Do you have big plans for the near future and are looking for £100,000 to make those plans a reality? Many of the plans offered by our extensive lender panel allow UK consumers to borrow £100,000 and to keep the repayments within your budget - both the rates and terms are very competitive, plus the money can often be paid back over repayments periods of 60 to 300 months to suit you. Most of our lenders plans that offer one hundred thousand pound loan products also offer loans of £10,000 up to £150,000. A few of our lenders can provide loans of up to £250,000 and amounts borrowed can be varied to the nearest £1,000, so you can borrow exactly the amount you need. Once you are happy with the free quote provided to you and your loan has been approved, how the money is utilised is usually up to you, the customer. To get the figures for your scenario without any obligation call our team for free on 0800 0159 295 or dial 0330 0536001 (mobile friendly) alternatively fill in our short on line enquiry form and we will get to work on your enquiry immediately. All loans are subject to status and affordability. Long loan payment terms reduce monthly payments, but result in you paying back more in interest. Get a no obligation free quote on various £100,000 loan terms before you decide to go ahead. Early repayment options can be available and will be detailed within your loan documents. This list is only a selection of purposes, so if your scenario is not here we will probably have come across it before and will always do our best to help. Whatever you may need a £100,000 loan for, My Sort of Loan may be able to help you achieve your financial aspirations. In modern times prices are high and the cost of living is constantly on the rise, this means that people in the UK may need to borrow larger sums of money to achieve their aspirations or set their finances straight. Fortunately lenders in the finance sector have kept up to speed with consumer demand meaning there are plenty of plans around where you can borrow £100,000, subject to lender criteria of course. Some of these lenders do not deal with consumers direct. However, as an established and wide reaching loan broker we have agreements with such lenders and are specialists in getting our customers the money they require, when they want it on a basis they are happy with. 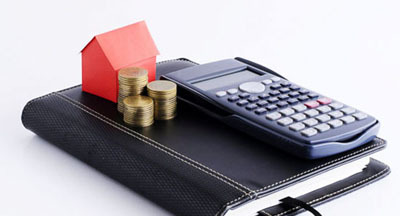 As you would expect due to the amounts involved the lenders will seek security and therefore these loans are secured on property, this can be your home or a property you own and rent out or have inherited. Even those with higher incomes can find that saving for large purchases or covering the cost of major projects is difficult and leads many to seek £100000 homeowner loans for the larger purchases they want to make and break down the payments over a longer period of time to suit them. If you are a homeowner or mortgage payer you could take advantage of a loan for any purpose, if your home is in need of full modernisation or you are looking to build an extension to your current property then we may be able to help you obtain the money required. Construction costs are much more expensive than they used to be and it is estimated that the average cost of a major house extension is around £50,000 and if your home is of a large size that cost could easily reach £100000. We know most people don`t have that kind of money lying around and is not easily put aside, if you cannot wait to get the money by saving up then you could attempt to secure the finance. 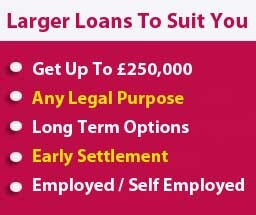 My sort of loan have many years` worth of experience in the credit brokering industry and we believe that those who can afford monthly repayments and are committed to repaying the funds borrowed should not be held back from achieving their dreams even if they have been unfortunate enough to incur some bad credit, defaults or ccj`s. If you are looking to obtain finance in the shape of a £100,000 loan then we would like to help. Just give us a call today on Freephone 0800 0159295 and chat to one of our experienced finance team members about how we can help you get the loan you need, alternatively fill out our simple enquiry forms and start your journey today. We have a large panel of lenders each offering different products which allows us to match you with the loan which best suits your circumstances and affordability, you can adjust the repayment amounts and term of the loan to obtain a homeowner secured loan product which you can be happy with. It may be that you do not need £100,000 but are looking for a smaller amount of between £5,000 and £25,000. An any purpose homeowner loan arranged by My Sort of Loan can be used for multiple purposes not just property related or debt consolidation. It may be that whilst dealing with other key matters you may also have dreamed of a holiday of a lifetime with your extended family, perhaps you have always dreamed of taking your family on a round the world trip but have found you cannot get ahead enough to embark upon it. Clearly, you should ensure you only borrow what you can afford, but if you can afford it maybe now is the time to make some memories which will stay with you and your family forever. Are you sitting on the perfect business idea but do not have the finance to get it off the ground? Are you working in a full time job but want to start a second income stream via your own business? Perhaps you need bridging finance for a property development or other project. A phone call may be able to give you a good idea if you can get a £100000 commercial or business loan. Let My Sort of Loan help you scratch that itch before it`s too late, our specialist loan broker team are waiting to hear from you. You may already have credit agreements in place for which the monthly repayments have got a little too much to handle, we could offer you a £100,000 loan to consolidate your existing debts and make your monthly repayments more manageable allowing you to spend more of your hard earned wages on the things you want rather than battling with your debts every month. Whatever your finance needs or current position may be, My Sort of Loan could match you to the loan you need. Need to finance a renovation project on your home, get a no obligation quote for a home improvement loan from one of My Sort Of Loans loan plans.